The guest speaker for our January 9th meeting is Sue Van Hook. The meeting will be hosted in Room 104 (across the patio from our regular room), Casa Del Prado in Balboa Park at 6:30 PM. Sue is a mycologist, naturalist, teacher and healer. She has been studying the taxonomy and ecology of fungi for the past 40 years, having begun her coursework in the Pacific Northwest where the mushroom season lasts 9 months of the year. She completed her undergraduate and graduate degrees in botany and mycology at Humboldt State University under the tutelage of Dr. David L. Largent. Sue worked for 5 years in land conservation for The Nature Conservancy managing a Northern California Coastal Dunes Preserve where she also conducted her graduate fieldwork. She moved to Belgrade Maine in the mid-eighties and worked as Director of Land Conservation and Stewardship for Maine Coast Heritage Trust. For 18 years she taught biology and environmental science labs at Skidmore College in Saratoga Springs, NY. 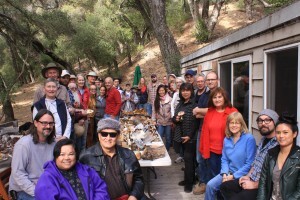 Sue joined the Mushroom Materials company Ecovative as a Mycological Consultant at the outset in 2007, and has worked as the Chief Mycologist and Mushroom Whisperer for the past 5 years. Her work involves cultivating fungal strains from the wild, experimenting to optimize fungal performance and material characteristics for various product applications, training and mentoring all staff members in the biology of the fungi, and maintaining a high vibrational energy for the manufacture of living Mushroom® Materials through the use of plant essential oils and Healing Touch Therapy. 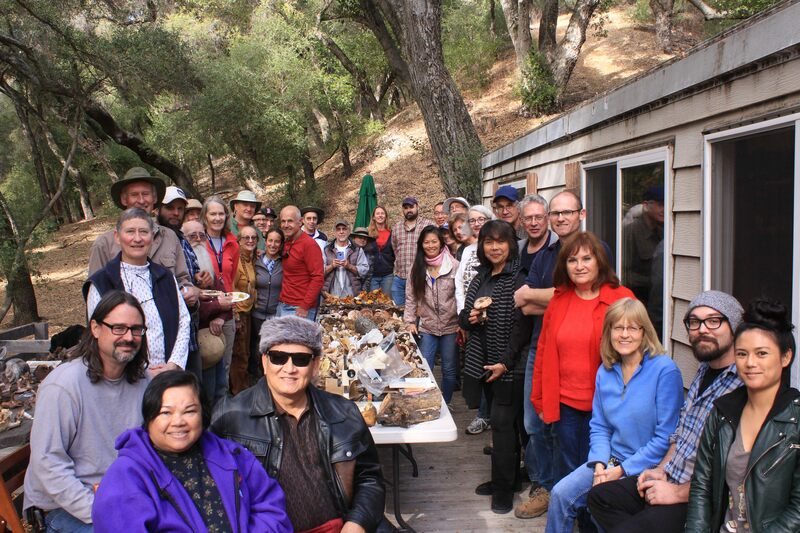 There will be a foray on Saturday Jan 7th, 2017 on private property in Santa Ysabel for member’s only. All participants must complete a foray Release and Indemnification Liability Waiver. We will meet at 10 am and then collect mushrooms until noonish. Afterwards there will be a potluck and group identification session to try to identify the mushrooms collected.